As the traditional media spend the entire morning talking about Melania Trump’s speech, check out my review of Day One at the Republican Convention below. 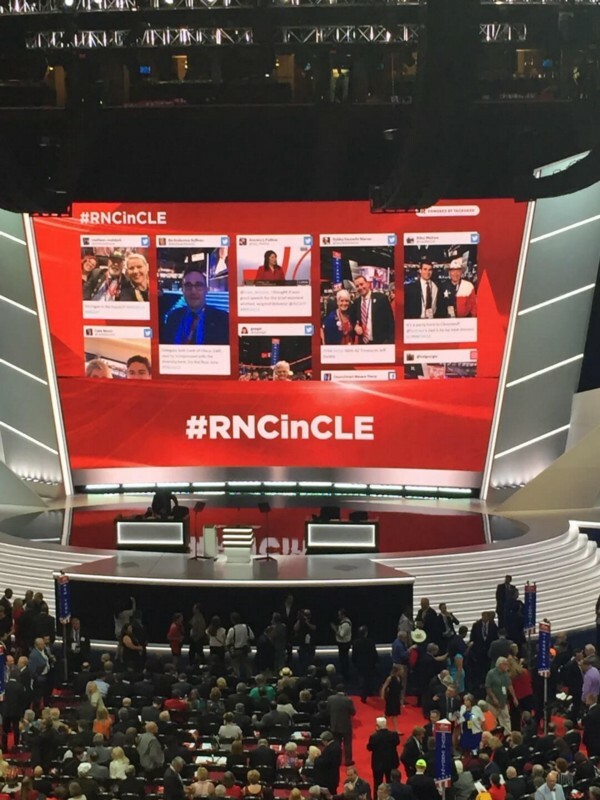 On Day One of the Republican Convention, I walked into Quicken Loans Arena, commonly known as “The Q,” to what’s being called the “revolt” where delegates on the floor were in aloud debate while attempting to pass a rules package being put forward by Trump delegates. The “yays” and “nays” voice votes had The Q rocking like I hadn’t seen since game 6 of the NBA finals last month. Politics aside, it was a clear reminder of how fired up folks are here at the convention as they crown Donald Trump the official nominee. We met dozens of veterans from all over the country who are here as delegates, supporters and even employees of the campaign and national party. While speaking with these folks, including a fellow Iraq war and Army veteran living in Phoenix, we were reminded that veterans are in their small towns and big cities having impact everyday as teachers, business leaders, coaches and civic assets! This fact was also brought to the forefront during the formal programming as keynote speakers included Navy Seal Marcus Luttrell, Senators Tom Cotton and Joni Ernst — both combat vets — along with retired LTG Mike Flynn and others who promoted service to our communities and country as a way to extend the oath we took while in uniform. However, one of the most moving moments of the evening came at the beginning of the show where Marlana VanHoose sang the National Anthemin one of the most powerful and memorable renditions I’ve ever witnessed. 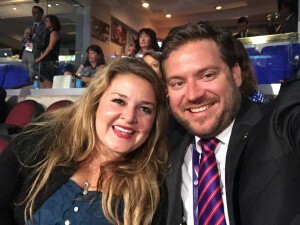 There were uncomfortable moments of certain speeches and portions of the programming that ran long, but as I sat beside my friend and gold star wife, Jane Horton, a few rows up from Senator Bob Dole and Newt Gingrich while briefly speaking with VP candidate Mike Pence, it was clear that the campaign and the party were committed to making veterans and military family issues a top priority. The only thing missing was more substance around how Donald Trump will “make America safe again” while taking care of our veterans. As Day Two is ramping up we will continue speaking with as many folks as we can in an effort to promote veterans as civic assets and talk about the issues that matter to our community while inspiring more veterans and civilians to participate in this critical election. We are pushing hard in Cleveland with an eye on Philadelphia to see what the Clinton campaign has in store for everyone next week! Bill Rausch is an Iraq War veteran and executive director of Got Your 6.